Lost Bridge Trail is located in the U.S. Corps of Engineers Lost Bridge North Recreation Area. The trail is all singletrack and the surface is mostly hard packed with sections of loose gravel. 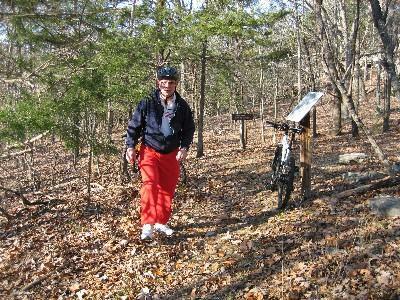 The terrain is mostly level with short hills and one steep climb at the 1 mile mark, if ridden counter-clockwise. This trail has some nice scenery including about 1.5 miles along Beaver Lake. Review: Rode part of this trail recently on vacation, and while it has potential, as of now it's not worth it. Go to Hobbs State Park instead. Trail had poor upkeep and was overgrown in wild raspberry in places. Lost Bridge Trail MTB Trail 1.00 out of 5 based on 1 ratings. 1 user reviews.